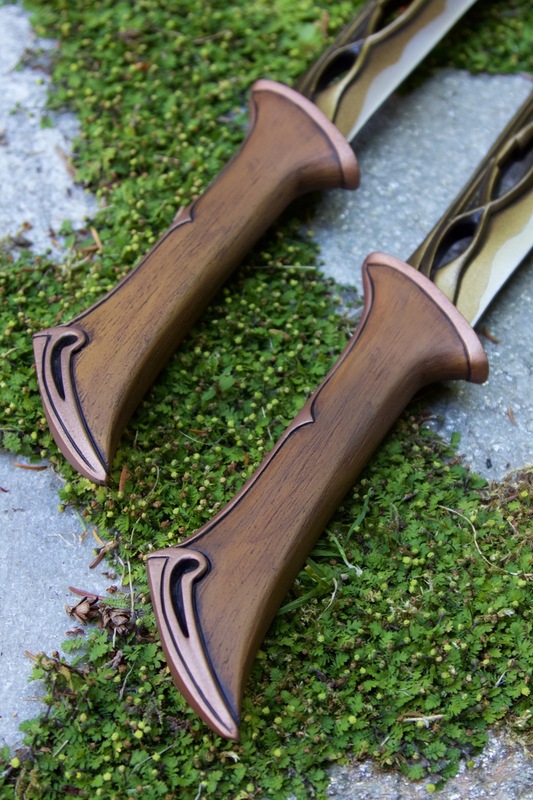 Scratch built master and copy cast daggers as carried by Tauriel the elf in The Hobbit. Materials: MDF, Apoxie Sculpt, Molding silicone, Polyurethane resin. Do you want to own these daggers? Click here to order a pair or a plastic resin kit that you can paint yourself.